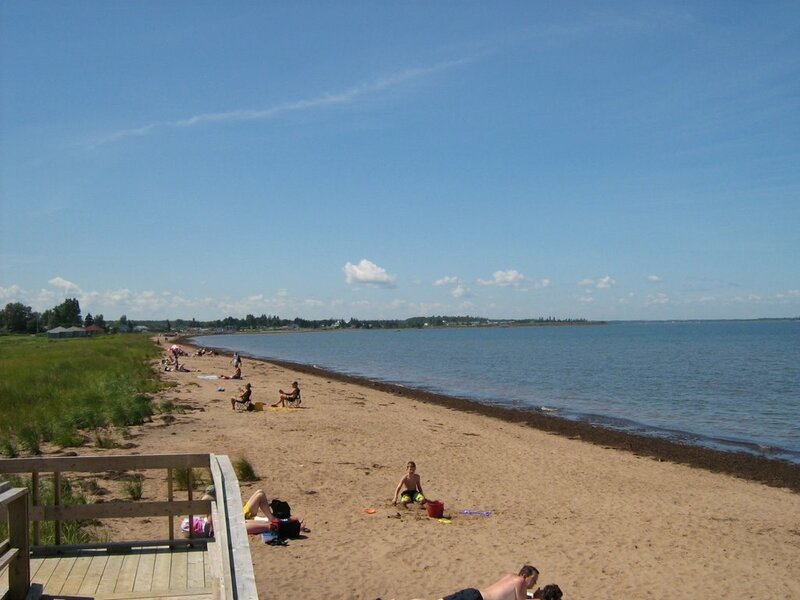 Rushton’s Beach ~ A fifteen minute drive east of Tatamagouche, along the Sunrise Trail (Route # 6), the warm waters and beautiful sand of Rushton’s Beach will provide lots of fun and relaxation on those hot summer days. Whether its swimming, walking the sand flats or just plain enjoying the beach, Rushtons has it all – except the crowds! 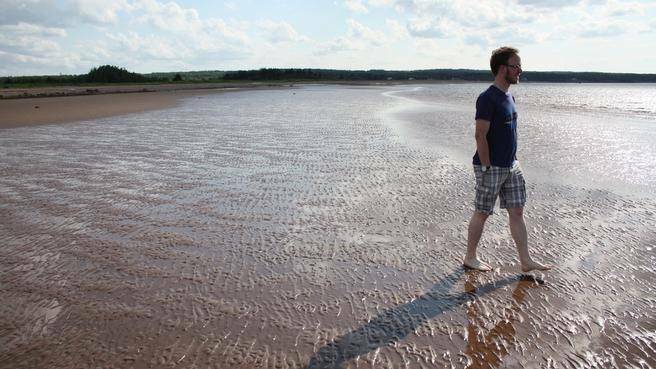 Blue Sea Beach ~ Located twenty minutes west of Tatamagouche, on the beautiful Malagash Peninsula, Blue Sea Beach features Northumberland Strait’s famous warm salt water and long stretches of beautiful uncrowded sand flats. Come and cycle the peninsula, stopping in at Jost Wineries and the Malagash Miner’s Museum along the way, and ending your day off with a swim at Blue Sea. Four years of hard work by several dedicated volunteers has resulted in the launching of the Tatamagouche Road Train, just in time for the 2016 tourist season. Departing from the Foodland parking lot on the hour, the Train has been transporting capacity loads of tourists, cottagers and local residents around the village all summer. The Train Organizing Committee are running the train on a donation basis, [it is NOT a free service] and it has proved to be a big hit this summer with over 8000 passengers to date. In fact, the Premier of Nova Scotia, Stephen McNeil came and road the train in August of 2016. Interesting Tour Guides accompany the train rides, and have proved to be a popular addition to the experience. For more info and details on the Road Train view the website at Road Train . The Tatamagouche Road Train runs from May to October. Patterson’s Wharf ~ Built by the lonely husbands of Tatamagouche during the filming of the 2008 T.V. series “The Week the Women Went”, Patterson’s Wharf has become a popular spot in the village for tourists and residents alike. 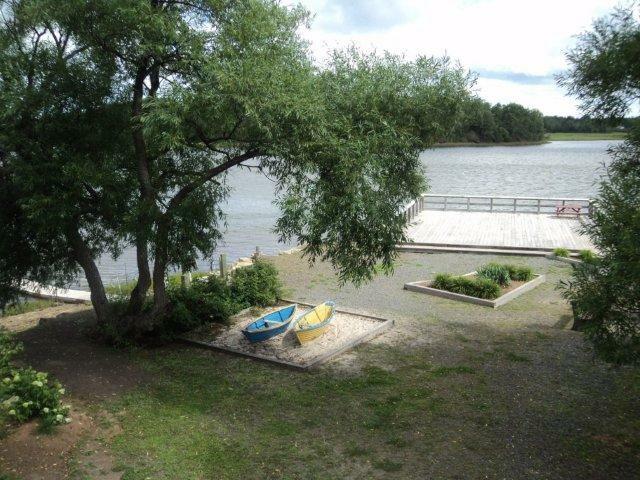 A five minute walk from downtown, the wharf is a great place to view the Bay at high tide, take photos, have a picnic or a barbeque or to just relax and enjoy the slow pace of life in Tatamagouche. 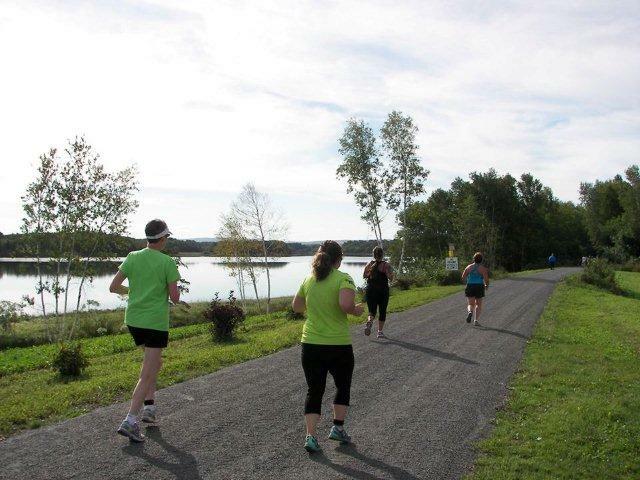 The Trans Canada Trail ~ Part of the National Trail system, the Trans Canada Trail, running through Tatamagouche on the old rail bed, is a great way to see the area, while getting your exercise at the same time. Thanks to the hard work of the Tatamagouche Area Trails Association (T.A.T.A.) the 4 km section in and around Tatamagouche is surfaced with crushed gravel, making it perfect for biking, walking and running. The adventurous can head east on the trail and bike all the way out to Sutherland Steam Mill. Runners enjoying the TC Trail. This portion runs through the base of Nelson Park. Heading west on the Trail provides direct access to Creamery Square, Patterson’s Wharf, the Tatamagouche Centre and Nelson Park. Whether you’re walking off a fine meal at the Train Station Inn, or training for a marathon, make the Trans Canada Trail part of your vacation experience. Nelson Park ~ Two kilometres west of Tatamagouche, the Trans Canada Trail continues directly through Nelson Park. With a great view of Tatamagouche Bay, this facility is owned and maintained by the Municipality of the County of Colchester. It offers picnic sites, a newly constructed bandstand, a children’s playground, and a beautiful landscaped garden overlooking the water. The Park is fast becoming a well known venue for weddings, reunions and concerts. 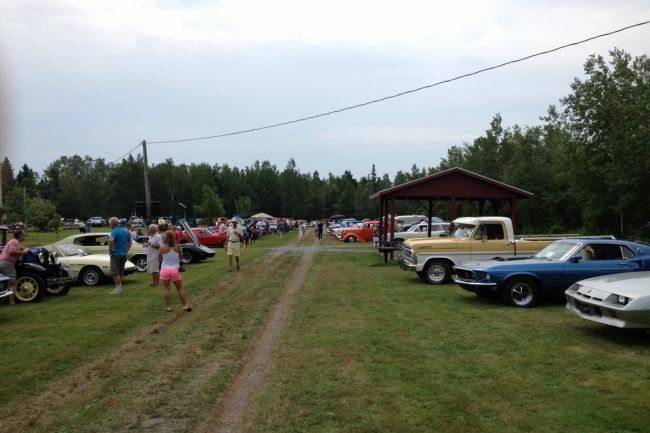 The annual Tatamagouche Car Show, held in the park on the August long weekend, is just one of several planned events occurring each summer at Nelson Park. Directions: Nelson Memorial Park is just west of the Village of Tatamagouche at the top of the hill after crossing the French River Or if coming from the west / Wallace it is left just after passing the Shell Gas Station. Ski Wentworth ~ Located 28 kilometres from Tatamagouche, Ski Wentworth boasts a vertical drop of 815 feet. There are 20 alpine trails, a 1/2 Pipe, terrain park, freestyle ski facilities and a variety of trails that will challenge any skier from beginner to expert. Their ever improving snow making system covers 2/3rds of the total terrain, pretty much guaranteeing several months of great skiing each winter. (101 days in 2013-14) Ski rentals are available, as well as night skiing, a full service cafeteria and Ducky’s Bar. A short drive from Tatamagouche, come and enjoy the Valley of Snow! Remember Adventures ~ Remember Adventures is a new venture located at 365 Main Street Tatamagouche. The core of the business is Butter Trail Buggy rentals and we also assist with addon tour planning for the Tatamagouche area. The buggies are quadricycles (4 wheeled pedal powered bikes) with bench seating and a canopy on top for shade and weather protection. Our buggies are a great way for couples to connect or reconnect; for friends to get together to chat and head out for a picnic; or for a day of fun for a small family (bikes can hold two adults + a teenager and 2 small children). 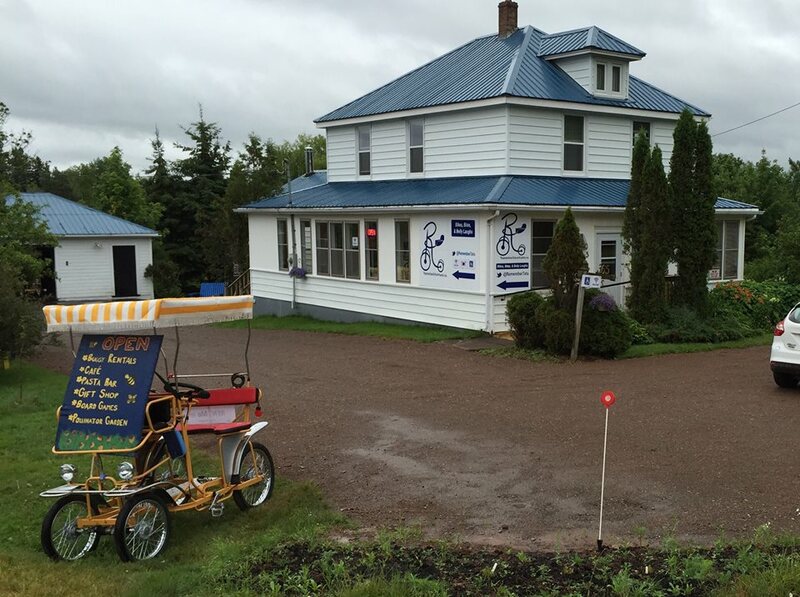 Tatamagouche is on the Trans-Canada Trail and Remember Adventures has easy access to the Trail via Station Road. There is also a small shop, pasta bar and grab & go café on location for breakfast, lunch, picnic supplies & sustainable souvenirs. As an adjunct to the business there is a comfortable sitting/waiting area for customers who enjoy sociable board games. These will be available in house to rent (free if you’ve liked us on facebook or twitter!) and are specially selected for fun and laughs. Remember Adventures is proud home-base for the global Insect Recovery Project which is a social media project to raise the positive profile of insects globally and to encourage the reversal of negative practices effecting invertebrate ecology. A portion of the grounds is being naturalized for pollinator/insect habitat and is open to the public. We do interpreted tours of the meadow for groups with prebookings and also if time permits us according to customer traffic. In addition to the indoor café and pasta bar there is outdoor seating with umbrellas on a beautiful deck, picnic tables and a gazebo on the grounds for customers. We also have a meeting space on site that can be reserved for larger groups which opens onto the gardens. 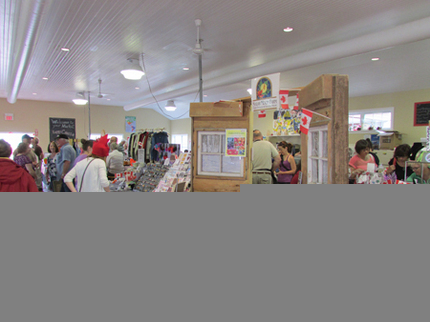 Tatamagouche Farmers’ Market ~ The Tatamagouche Farmers’ Market at Creamery Square provides a vibrant facility to support local farm products, crafts, baked goods, artisans and more and with over 25,000 visitors last year. The new Waterfront Canopy added to the Farmers’ Market will impress all visitors with a spectacular view of the Waugh River. The market boasts 24 member businesses as well as another 25-30 vendors who display their products during the busy summer season or at special events throughout the year. The Market is open to the public from February to Christmas on Saturday mornings. A full array of in season vegetables, fruit, berries, baked goods, meats, prepared foods, breakfast dishes, fruit trees, soaps, jewelry, art and crafts, flowers, herbs, seedlings, eggs, honey, beeswax candles, handmade maple chocolates and maple syrup products. 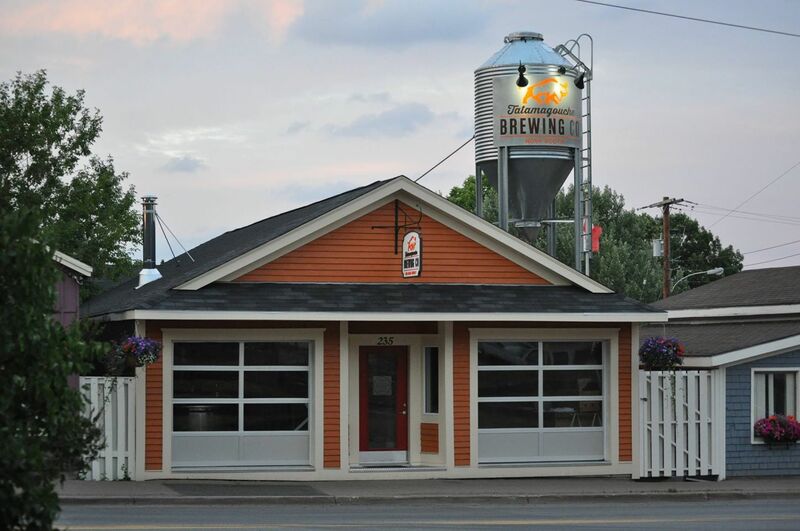 The Tatamagouche Brewery ~ We’re a family owned and operated microbrewery located in the heart of Tatamagouche, Nova Scotia. In 2014, we converted an old butcher shop into a community brewery where we make small batches of tasty handcrafted beer. Sample our Hippie Dippie Pale Ale, Butcher Block Red Ale, North Shore Lagered Ale, and whatever else we have brewing! 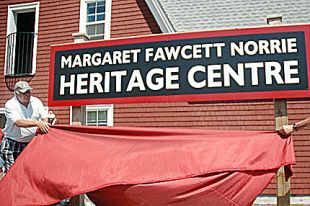 Margaret Fawcett Norrie Heritage Centre ~ The national award-winning Tatamagouche Heritage Centre will delight and educate visitors of all ages with professionally designed and interactive exhibits. Investigate detailed genealogy records, maps and documents in our Resource Centre of the North Shore Archives. Don’t miss our Gift Shop for souvenirs to remind you of this one-of-a-kind heritage experience. The Sunrise Trail Museum showcases artifacts from the 19th and 20th century including the creamery exhibit. The Brule Fossil Centre includes track ways that are 290 million years old. A diorama and interactive display focus on creatures from the Permian Era that might have made the tracks discovered on a beach at Brule (near Tatamagouche) in 1994. The Anna Swan Museum honours the life of the famed giantess Anna Swan (1846-1888) who was born and raised in the Tatamagouche area on the North Shore of Nova Scotia. Anna reached a height of 7 feet 11 inches and weighed almost 400 pounds. 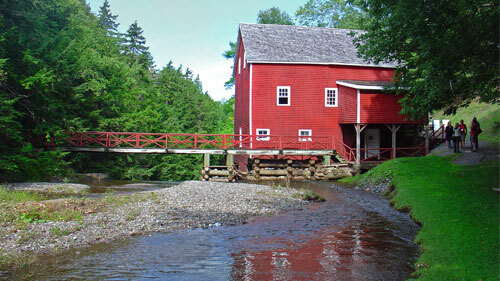 Balmoral Grist Mill ~ A working grist mill from 1874 – Discover this three-story mill tucked away in a wooded gorge on Matheson’s Brook. See grains being ground, sifted and turned into flour just as they have been since Alexander McKay opened this mill in 1874. Feel the mill in action and hear the whir of wooden gears as shafts and pulleys turn the original Scottish granite millstones. Bring a picnic and linger in this shady and peaceful place. Hear the mill stream splashing as water tumbles over the dam. Ramble along the Christine MacDonald Walking Trail as it winds along the brook. Sutherland Steam Mill ~ Located in Denmark, near Tatamagouche, the mill preserves a time when our forebears were far more self-reliant than we are nowadays. In this mill, trees went in one end, and out the other came almost everything you needed to build and beatify your home. Including bathtubs. In the 1890’s steam power was the way of the future, and innovators like Alexander Sutherland realized its importance. No longer tied to running water to power a mill, a producer could locate near a transportation source. This is exactly what Alexander Sutherland did when built his mill next to the new Pictou-to-Oxford Short line railroad. Today throughout the mill you can see numerous examples of Alexander and his son Wilfred’s adaptability and creativity. From designs and patterns to homemade, working machines, over 60 years of ingenuity and productivity is here for you to discover. If you love things mechanical and innovative, this is the place for you. Tatamagouche Library ~ Originally opening in 1951, the brand new location of our Tatamagouche Library opened its doors on April 11th, 2012. This new, eco-library boasts four public access computers, public access to internet and subscription databases, wireless internet service, after-hours book drop. There are also many additional perks to our new library, including a great reading and play area for children, a reading nook on the second floor, and a community room, appropriately named “The Patterson Room”, is available at no charge, and has been the base for many committee meetings, music groups, breastfeeding group, children’s reading programs and even a Tai Chi class. Since opening its new doors in 2012, the Tatamagouche Library is proving to be a great place to meet, greet and expand your horizons. The staff encourage you to check in with them regularly to learn on new programs that may be coming up. Lismore Sheep Farm ~ Welcome to the Lismore Sheep Farm Wool Shop web site. Our farm is located just off the Sunrise Trail (Route 6), along the beautiful Northumberland Shore in Pictou County, Nova Scotia. We have a working sheep farm with about 300 sheep. Our sheep are mainly Dorset / Finn crosses which produce a beautiful soft fleece. Here at Lismore Sheep Farm we use wool to create a wide range of products, some of which include ~ wool blankets, wool filled comforters, wool mattress pads, yarn, hand knit socks, hats, mitts, etc. We also carry a variety of sheepskin products ~ mitts, slippers, seatbelt covers, dusters, insoles. Our washable sheepskins have proven to be extremely popular for a variety of uses, some of which include ~ floor rug, chair cover, motorcycle seat, wheelchairs, etc. The farm is also the home of the River John Needle Company, our new venture making wooden knitting needles. 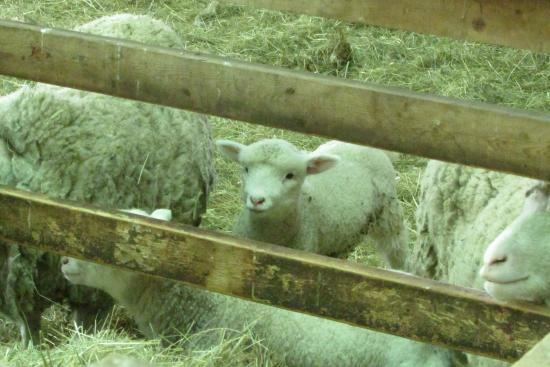 During the summer the barn is open for visitors to see the sheep and lambs up close. There is also an interpretive display that will interest all ages. 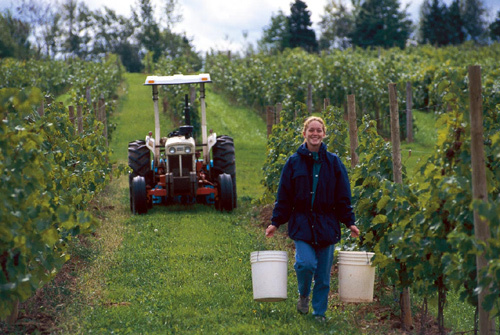 Jost Vineyards ~ Jost Vineyards is situated on over 100 acres by the beautiful North Shores Sunrise Trail. With the largest and longest operating winery in the Atlantic region, the Jost family pioneered the industry, supporting the majority of today’s independent vineyard operations. Their legacy of wine making dates back 400 years to Germany where Josts continue to produce great wines today. Their estate bottled whites, reds and specialties are lovingly crafted in the cellars and are available for sampling, sale and shipping from the winery store. 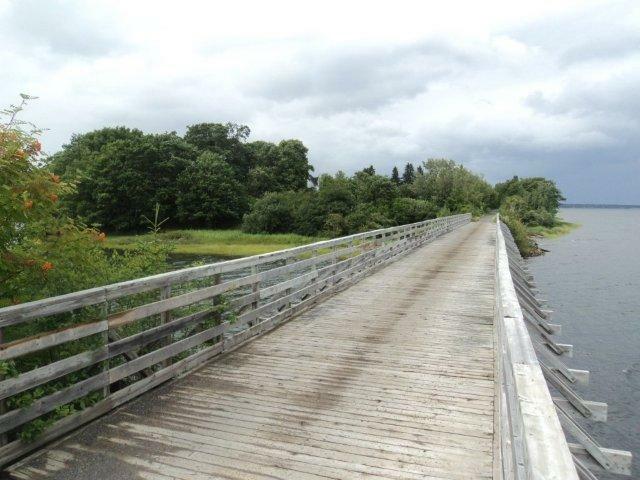 Hike, bike and picnic with spectacular vistas of the vineyards and beautiful beaches of the Northumberland coastline. The area enjoys a mezzo climate with more days of sun than anywhere else in Atlantic Canada. Did we mention the beaches? All the vineyards have benefited from the natural nutrition of the shells of lobsters caught within view of the vineyards. What a terroir! Little wonder the wines complement seafood so well. Enjoy local cheeses and other artisan foods with a perfectly paired wine on the licensed terrace and take a winery tour. While they love having guests visit the winery and other wonderful North Shore attractions, if you can’t make the drive, Jost wines can be discovered throughout Atlantic Canada in most restaurants, liquor stores and on your favorite neighbor’s back deck. 1500 fruit trees. 55 varieties of apples, as well as pears, plums and sour cherries. U-pick available. September & October, 12:00 -4:00 or by appointment. Sugar Moon Farm ~ Sugar Moon Farm is a working maple syrup farm, with a sugar bush and restaurant. We produce quality food in a manner that supports local agriculture, the community and the environment. We buy local ingredients, use a composting system for our public washrooms and employ draft horse power on our farm. A member of Taste Nova Scotia, Sugar Moon Farm has received regional and provincial tourism awards and national recognition. In 2009 Sugar Moon Farm was selected as one of the top 10 Sugar Shacks in Canada by Canadian Geographic Travel Magazine and in 2011 was selected by Fodor’s Travel Guide as one of the top destinations in Atlantic Canada. Most recently we have been honored by being rated one of “Canada’s Top Pancakes” in the Canadian Living Magazine – March 2013 edition. Taste some syrup during a tour of our working sugar camp before dining on one of the many delicious brunch meals in our 56-seat log restaurant. For a more elegant dining experience, be sure to attend a “Chef’s Night at Sugar Moon”. Set in the glow of our large stone fireplace, this gourmet maple dining experience offered throughout the year features guest chefs, live music and wine tasting. Make a day of your trip to Sugar Moon by hiking, snowshoeing or cross-country skiing around the farm and along the Rogart Mountain Trail (6.2km), which starts at the parking lot; maps are available in the restaurant. Snowshoes are available for rent. Very interesting and informative website. Have been to Tatamagouche several times and loved it. Organizing a bus trip for seniors from the Halifax area. Now just have to convince our Board how great the area is. I visited the oyster farm and was really impressed with their operation. That is a great family activity. Pingback: Tea Party 2017 for Neighbours Helping Neighbours; fundraising for our local FoodBank. My home was there till I was 21. Love this place. I had a great vacation there one summer. Will return. Hi there. We are coming into town for octoberfest and looking for a driver to take us to and from event. Is there a cab or someplace to find drivers ( kijjji)?? We have shared a poster of taxi services for Oktoberfest next weekend on our home page. We hope that you have a great time in our Village! Many memories visiting my aunt and uncle at the family farm in the 60,s and 70,s The farm was a century farm in 1967 so lots of history here .My uncle stopped farming in the mid 70,s and the farm was sold years later , the house still stands but the barn is gone . The farm was located at the intersection at the railway tracks ,now the trail and hiway 6 sunset trail . So many memories with family , but sadly all but a few of any family live in Tata .